Sleeping sickness which is also called African human trypanosomiasis results from the invasion of a human organism by an unicellular parasite called Trypanosome. It is conveyed from one human to the next by glossinas which are dubbed "tse tse flies". The outcome is invariably a fatal one when the disease is left untreated. The most efficacious medications are also very toxic ones and implementing a full course of treatment is often difficult with the frequent scattering of human settlements in rural areas. The Colonial Medical Corps grasped right away the severity of this endemic disease. Physicians described their clinical findings and innovated in setting up programs of prevention and of mass treatment. Rules of prevention are easy ones to lay out but implementation of these rules happens to be much more difficult. Eugéne Jamot* (1879-1937) outclasses all others in the history of prevention of this disease as he developed a doctrine of action which he carried out vigorously in Cameroon with outstanding and successful results. But Jamot was misunderstood and with his relegation to the sidelines trypanosomiasis was once again rife and this is now known as the "after Jamot period". As there is no way to get away from inescapable facts, shifting back to Jamot's doctrine implementation finally achieved the control of trypanosomiasis in French Western Africa. A few years later a major tribute was paid to the doctrine when its implementation was widespread and when its scope was broadened to other endemic diseases. Unavoidable changes had to take place with decolonization and Jamot's doctrine had to be modified. Here and there trypanosomiasis is now classified as a re-emerging disease. 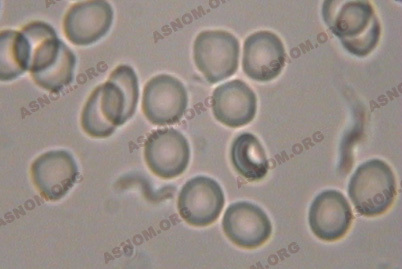 Trypanosomes which are spindle shaped micro-organisms are together elegant and extremely mobile. Their cells are as long as three or four red cells lined up and move around with the help of their flagellum. Two British scientists by the names of Forbe and Dutton discovered them in 1901 in Gambia. In Western and Central Africa they are parasites of humans but also very likely also of swines. Another species is found in Eastern Africa which is slightly different but as harmful as the other one as it is a parasite of both humans and animals mostly antelopes but also giraffes and wart hogs, and this fact precludes any possibility of eradicating the disease. The "Tsé tsé fly" which is an exclusively African insect conveys the disease while biting a patient, feeding on his blood and picking parasites which will be later transmitted to a healthy individual on the occasion of the next feeding bite. - During the first one parasites are found easily in patients' lymph nodes and blood stream. Symptoms which are quite commonplace include a high grade fever, enlarged cervical lymph nodes and a few spots on the skin... none of these clinical symptoms is an enticement to resort to medical care. - A few months later with the second stage the patient starts having neurological disorders. Impairment of the brain may result in paralysis, convulsions and sensory disorders which make using tools such as keys quite painful : this is known as the "Kérandel symptom" (by the name of the colonial physician who described it first hand when he was suffering from the disease). There are also mental disorders which keep worsening with an irrepressible need to sleep which is a relevant explanation for the name of this medical condition. During this stage trypanosomes are found when tapping a cerebro-spinal fluid sample. Shortly after experiencing an important loss of weight with considerable wasting, the patient is going to pass away : the period of time which elapses between the infecting bite and his death is sometimes less than a year long. During the first half of the twentieth century there were very few efficacious medications. The only one which was known and used at first was an arsenical by-product named Atoxyl It had to be administered over a several week period of time through courses of subcutaneous injections. As it was a swift killer of trypanosomes roaming the blood stream, its use during the first stage prevented the risk of transmission with new fly bites. But as this medication does not pass through the meningeal barrier it is not efficacious against trypanosomes which are already present in the cerebro-spinal fluid so that the disease can continue to progress in patients who are experiencing the second stage of this condition. In 1926 a new arsenical by-product named Tryparsamide became available. It is given intravenously once a week over a few weeks. This medication has a great advantage over Atoxyl as it penetrates into the cerebro-spinal fluid. It is therefore a medication for the second stage of the disease. But nevertheless about 20 % of all patients are not going to recover and their outcome will be a fatal one. When mass therapy campaigns against Trypanosomiasis got started, only these two medications were available. They are arsenical by-products with deleterious side effects for the optic nerve, as a result, most of the time patients are cured but some complain of ocular side effects and may even wind up fully blind. The need of repeated injections is another shortcoming as it is difficult to have patients stick to the program unless they are inpatients over two or three month period of time. And then also, incomplete treatment courses give rise to strains which are resistant to these medications. These first generation arsenical drugs are obsolete now and not used any longer with the availability of new molecules which were developed through research and development. During the nineteen thirties an urea by-product by the name of Suramine or Moranyl became available without any detrimental ocular side effect but its use may impair the patient's renal function. It is administered intravenously over 5-10 weeks and is only efficacious during the first stage of the disease. Diamidines which are very efficacious arrived later, but they do not pass the meningeal barrier. In 1946 in Western Africa Le Rouzic* and Combescot* laid out the rules for their use in mass campaigns. Accidents with this therapy are rare but usually severe. One injection of this medication provides a healthy individual with a several week long protection but this is too short a time anyway to warrant systematic prophylactic campaigns which had been contemplated at first. A new arsenical molecule by the name of Melarsoprol became available in 1947 which Jonchére* tried out. It came out that this medication is efficacious during both stages of the disease and provides the cure of ninety five percent of all patients. Unfortunately 5-10 % of all patients who happen to be treated with it experience severe side effects of the toxic encephalopathy type which too often result in a fatal outcome. Melarsoprol was banned for a while but had to be reintroduced as no substitute could take over. Therefore in 1998 in spite of these very detrimental side effects, WHO stated that "melarsoprol was the only medication which was available for patients during the second stage of the disease". This disease has been always been present among populations of Sub Saharan Africa and over the past centuries slave traders were aware of it. The disease flared up with the arrival of European colonizers who built roads, brought peace to tribes, and facilitated the movements of humans and the traffic of goods. Around 1880 a member of the Savorgnan de Brazza's expedition reported it and later in 1895 Couvy* and Carmouze* reported an epidemic which had occured in the region of Loango which is situated south west of Brazzaville. Kerandel*, Heckenroth*, Millous* identified other foci in 1906 in the Lower Congo region. The Geographic Society assigned G. Martin* and P. Leboeuf* together with E. Roubaud who was an Entomologist, to investigate this issue in French Equatorial Africa. They happened to come across some Colonial Army medical officers who were posted there. They were able to make their own assessment of the situation in the Lower and Middle Congo regions which they considered as a very serious one. Without any means of penetration and with no availability of any population census, any medical undertaking remained incomplete and the epidemic kept gaining ground. Between 1905 and 1910 organizations dedicated to the study of tropical medicine became deeply concerned with the problem. More than half of the papers which were published in the first issue of the bulletin of the French Society of Tropical Medicine were about this condition. In 1913 in the Northern Oubangui region, which is one thousand miles away from the Lower Congo Region which was supposed to be the primary focus of the disease, among the twenty thousand people whom he screened, Ouzilleau* was able to diagnose seven thousand patients with Trypanosomiasis. He tackled the task of restraining the spread of the epidemic while using Atoxyl. In surrounding districts his fellow physicians such as Aubert* and Monfort* in the Sangha region of North Congo and Heckenroth* along the banks of the Lower Oubangui River performed amazing feats but they could not carry on as they had not been provided with any additional means of action. 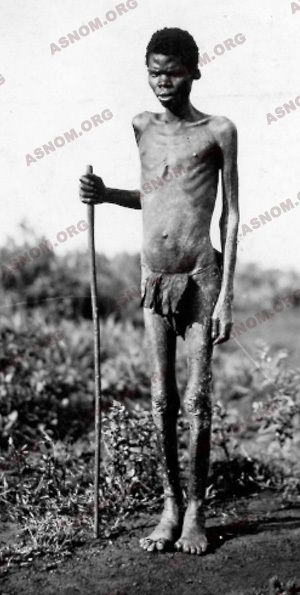 The epidemic kept on spreading and in 1926 Muraz* found over eleven thousand patients around Fort Archambault in Chad. Cameroon which had been a German colony until 1916 was not spared. This western epidemic swell met up in eastern Africa with the one that had come from the Anglo Egyptian Sudan (today called Sudan). The origin of the latter is found in the memorable epidemic which wreaked havoc on Uganda between 1902 and 1905 with the death of above two thirds of the total population in one of its province. Over the next two decades the disease flared up in the whole French Equatorial Africa. but then without any allocation of money. It had been assumed at first that the disease was only found in dense forests and along river-banks in the hinterland. Over a twenty six month long period of time Huot* diagnosed 8 548 patients among the seventy thousand people who were screened. In fact this scourge was everywhere but so far, there had been no correct assessment of the scale of the disaster. 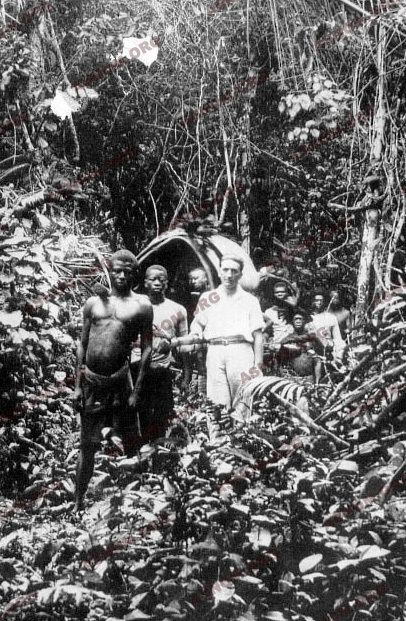 In the former Belgian Congo, now Zaire, as early as 1911, E. Lejeune diagnosed and treated thousands of patients who were suffering from the disease. In 1913, Elisabeth, Queen of the Belgian People, donated some of her own money to set up in Leopoldville which is now Kinshasa, a facility dedicated to the training of native health worker aids which would enable them to diagnose the disease according to standard instructions. The British and the Portugese who had made the same epidemiologic findings did not implement any similar plan of itinerant action. - In French Western Africa. Meanwhile some physicians who were members of the Colonial Medical Corps such as G. Martin*, Thiroux* and Bouffard* brought evidence that the disease was present in all territories. In 1908 Bouet* and Roubaud 's mission roamed the Federation and charted the epidemic which had spread from its epicentre in the Volta Rivers region. In 1925 Hérivaux* came across a very active focus of the disease in Northern Togo, which had already spread beyond the border with North Western Dahomey, heedless of any political boundary line. Dabbadie* reported that an epidemic was rife in Southern Upper Volta and later Montestruc* who had taken over reported that the frontline of the epidemic had been moving eastwards and had reached the banks of the Niger River. Senegal and Guinea were also infected. Just like twenty years earlier in French Equatorial Africa, there was no coordination of the action. The Director of the Public Health Services of the Federation was a medical officer with the rank of a General who tried to minimize the importance of the danger. In each territory there was a director of Public Health and a Governor so that policies were different from one territory to the next. 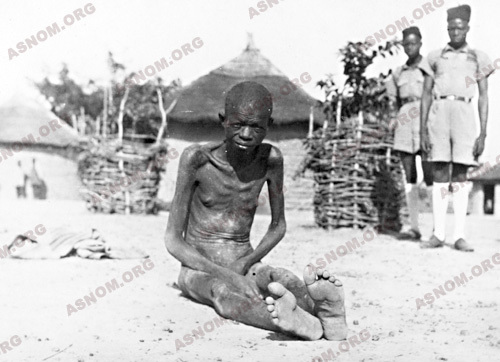 The situation which prevailed in Sudan which was the last territory to acknowledge the presence of Trypanosomiasis has to be compared to the one in Togo which had been under French mandate since the end of WWI and where an appropriate institution set up in 1925 had helped to keep the disease in check. Upon Jamot's arrival in Africa the principles of a preemptive fight against sleeping sickness had been specified and the two weakest points in the epidemiologic chain had already been identified which were the tse tse fly on the one hand and the trypanosome on the other one. But these were only theoretical principles ! Fight against glossinas was then impossible as there are in fact several different species of them with some living in forests, some others in forested savannahs, and others also in sahelian areas along river banks. The latter use to move around during the wet season. At this point of time there was no availability of insecticides nor of glossina traps. Fight against trypanosomes had to be delayed until the first arsenical by-products which wipe out trypanosomes in infected humans, became available. Flies become harmless once they do not come across anyone who is parasite carrier. It is quite easy to deal with such a problem theoretically but tackling this objective on the field of action is much more difficult. It took about two decades to overcome together the reservations of authorities, the lore and fears of those who were interested in this endeavour and finally all the obstacles which are come with any innovation. This achievement required the energy, conviction, doggedness, eloquence, charisma of a Colonial Medical Corps Officer : E. Jamot who had also a non conformist set of mind altogether with an ability of being good at organizing things. His associates who displayed great courage and dedication, paid a heavy toll to Trypanosomiasis : some of them were stricken twice while some such as Le Hir* in the Upper Volta territory died of it. which have to be systematically treated as soon as they are diagnosed : the first injection is aimed to wipe out roaming parasites and then afterwards all subsequent care is given according to standard procedures over the next few months. An uncompleted course of treatment can result in a disastrous failure for the patient first but also for his community. Go and meet the people where they live and screen everybody with the help of itinerant teams of health workers who must be able to work anywhere swiftly and efficiently. Census records should also be made available. One of the provisions of the law was that chieftains at the head of districts had to provide a makeshift record of inhabitants but most of the time this document was forged as it was in use also for the assessment of taxes which the village had to pay. Therefore as soon as they could, itinerant teams made their own census. Call again at places which had already been visited according to a planned schedule and advertised in advance in order to ensure that everybody could be screened with no one left behind and also in order to diagnose new cases which might have broken out since the last visit. Teams of health workers with a good experience of the job and of the procedures which are implemented. These auxiliary health technicians were chain working according to standard procedures they had been trained for in health assistant training institutions. The adhesion of populations which also had to subscribe to this program with everyone reporting to the screening. The first step which had to be taken was at first to convince Chieftains of villages and districts. In Western Africa Sleeping Sickness was viewed as a defect which was shaming the patient and his relatives. One had be able to assess the unfortunate necessity of resorting to "the indigenous code" which provided penalties for those who broke the law and who endangered public health through their unruly behaviour. Successful achievements had to be heralded so that chieftains and populations could become aware of them. Upon arriving in Sub Saharan Africa in December 1910, Eugéne Jamot* was assigned over the three next years to one of the battalions in charge of pacifying Chad. 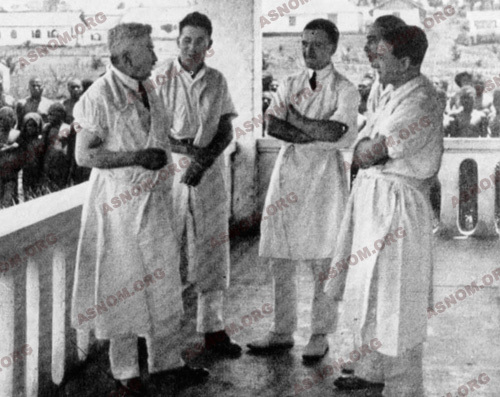 When he returned to France he signed up for a training course at Paris Pasteur Institute where he got the opportunity of being introduced to Mesnil who directed him to research the trypanosomiasis issue. In July 1914 he sailed back to Congo where he was assigned to the Brazzaville Pasteur Institute. Fifteen days later war broke out and he became a medical officer in the French and Belgian force which was in charge of confronting the Germans in Cameroon .When he returned to Brazzaville in 1916 he was assigned to the running of the Pasteur Institute. On the occasion of his stint in Chad, it is likely that he got sharply acquainted with the issue and that he became convinced of the need of setting up itinerant teams of health workers in the African hinterland. Furthermore while making his way from Brazzaville to Yaoundé he had crossed the region which had the largest number of patients suffering from trypanosomiasis so that he could not have missed seeing these staggering people who were severely wasted by the disease looking like skeletons with their eyes similar to those of deceased people. Anyhow this situation clearly looked like a real medical emergency and as director of Brazzaville Pasteur Institute he strove vigorously to fight the disease. As early as November 1916 the colonial government became aware that a trypanosomiasis epidemic was flaring up across French Equatorial Africa. In April 1917 the Colonial Hygiene Board in Brazzaville set up "The Sleeping Sickness Monitoring and Prophylaxis Centre". 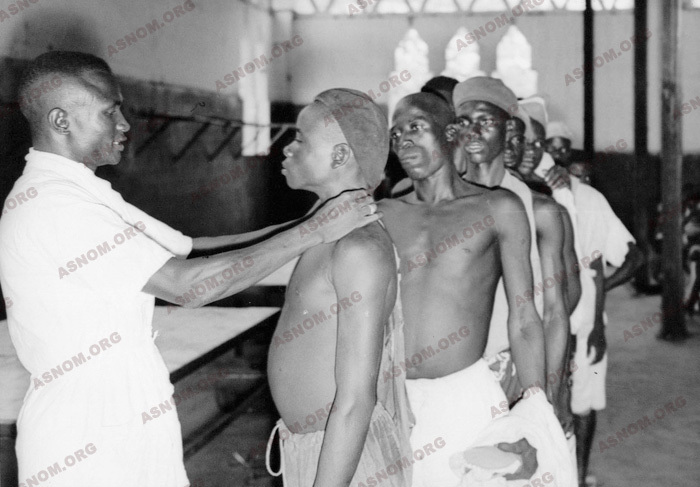 Each territory was divided into districts and Jamot insisted that the colonial administration be entitled to decide with a request of the physician in charge, which places populations had to report to for the need of their mandatory medical screening. This undertaking aimed at taking a census of the people, opening medical files and starting treatments. It quickly turned out that physicians in charge of itinerant teams of health workers had to go along with them to carry out the screening of entire populations and to immediately implement the treatment of those who had been diagnosed so that trypanosomes could be stopped from spreading. The area which had been selected for this mass screening was the corridor connecting the Oubangui and the Chari basins. They hit the trail in Bangui and walked north, until they reached the border with Chad which was around six hundred and fifty miles away. This trail in the wild at first crossed forests with clearings, then savannahs which had a vegetation which became scarcier and scarcier from one day to the next. 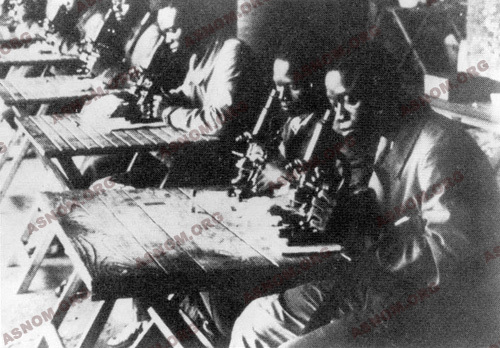 Two microscopes, two hand powered centrifuges and a few syringes made up the basics of their equipment. They travelled by boat or canoe, sometimes they rode horses but most of the time they had to go on foot. Over an eight month long campaign which spanned from June 1916 to February 1917, they diagnosed 1 959 patients among the 18 874 people who were screened. They were identified, registered and treated while their medical file was drawn up. Only one village among the seventy seven villages which they screened was unscathed. Once he was back in Brazzaville, Jamot strongly advocated carrying out this kind of action all across French Equatorial Africa. During the next two years seven itinerant teams were set up, each one in charge of a district. Muraz was at the head of the Nola district, which is a place located at the southern tip of the Oubangui Territory and dubbed "the post of death", and later, he went to Fort Archambault, Chad. He diagnosed and treated thousands of patients but he also became imbued with Jamot's doctrine which, twenty years down the road, he implemented successfully when he was at the head of the SGAMS. Prior to that, in 1926, he was assigned to run the Sleeping Sickness Control Department of French Equatorial Africa. In March 1922, by the time Jamot was posted to Cameroon which the Society of Nations had entrusted to France, this country was in a desperate plight as a quarter of its population had died. In some villages 97 % of the people were stricken by the disease. 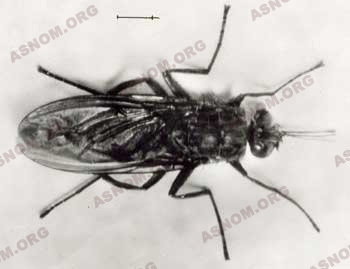 It can be claimed that bites of the tse tse flies were accountable for a true human genocide ! At this point of time his staff had been beefed up with four young medical officers named Corson*, Euvrard*, Odend'hal* and Marquand* and with also seventy five auxiliary African health technicians. He undertook to assess the situation and he found places in the central region of the country which were a few hundred miles away from Yaoundé, where 30 % of the people were suffering from trypanosomiasis. During the following year this screening endeavour brought Jamot and his team close to Yaoundé, but they were repelled by the colonial government. Flare ups of the disease deep into the hinterland were acceptable but the assumption of having this scourge close to the capital was really ill chosen and foolish ! 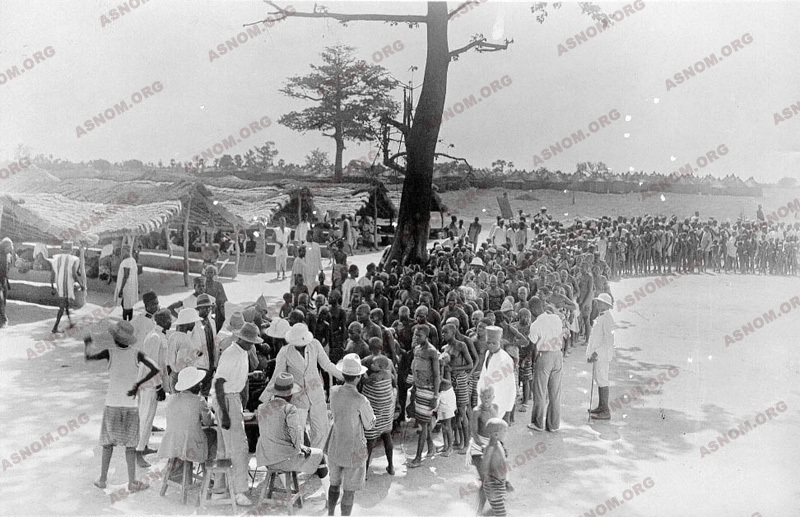 From September 1924 to February 1925, Jamot screened northern Cameroon : the infestation was also there but was not as serious. When he went back south he found that in the meantime there had been a further deterioration of the situation. Among the 663 000 people who were screened, 115 354 were diagnosed with the disease which makes a infestation rate of 17 %. In September 1925 Jamot sailed back to France on regular leave. In June 1926, Calmette*, who then was deputy director of the Pasteur Institute, introduced him to the fellows of the "Association Colonies-Sciences". Its president, General Messimy, a former Minister of colonies, who had become famous during WWI, was also at the head of the Colonies Committee at the Senate. As a result of Jamot's natural eloquence combined to his description of what he had been through, a lot of people felt drawn to him. He gave a number of lectures, and he was easily granted audiences by cabinet staff members and even by ministers, and furthermore he received directly an allocation of funds in the amount of eight millions francs which today in the year 2000 would account for 4.5 millions euros. He was the only one who was accountable for the use of these funds. But while directly addressing "lay persons" he had become guilty of bypassing altogether three different hierarchies which were the military, the medical establishment and the colonial administration. Some people never forgave him. Anyway he had already achieved a lot : As early as 1926 Jamot's prophylaxis mission was granted its full-fledged autonomy in Cameroon and French Equatorial Africa. He set up fourteen Special districts and fourteen subsidiaries. His strike force consisted of eighteen medical officers of the Colonial Medical Corps, thirty six French health technicians and four hundred Cameroonian medical auxiliaries. Some teams had up to fourteen microscopes at their disposal. The Ayos facility had become the training institution for staff members. By the end of 1928 all over Cameroon 663 971 people had been screened out of the 800 000 who were listed and 115 354 patients had been diagnosed and treated. Bedridden and crippled patients were cared for as inpatients in sleeping sickness facilities while the other ones reported to outpatients care centres or expected the visit of an itinerant health worker in their village. The outcome was a good one with the full recovery of seventy five percent of them. While Jamot was in Paris on the occasion of the 1931 Colonial Exhibition his fame grew higher as political authorities displayed their appreciation of his feats in Cameroon. He gave interviews and lectures one after another and this time showed the kind of great communicator he was when he resorted to cinema which was then the most recent media available. Marc Allegret shot a film in Cameroon which recalled Jamot's own challenge ten years earlier "I will re-awaken black Africa". Hence its title : "The re-awakening of a human race" (Le réveil d’une race). This movie was a hit and Jamot became a French nominee for the Nobel Price for Medicine. But this was too much. He was then charged of being accountable for a technical error which had been made by one of his co-workers who was posted in Bafia. Several hundred people had become totally and permanently blind with an overdose of Tryparsamide. While he was sailing back to Cameroon he was notified that his assignment to Yaoundé had been cancelled and that he incurred a blame. After disembarking in Dakar he stayed there and waited for his new assignment which was delayed over the next seven months. Finally in July 1932 he was assigned to run the French Western Africa Department for Sleeping Sickness Prophylaxis and was requested to determine the limits of distribution of this endemic disease. He got sixteen Cameroonian nurses to come with him with some recruits from the Upper Volta. He set up his headquarters in Ouagadougou which is in the centre of the Upper Volta. Until March 1935 he roamed the immensely large French Western Africa territory and found trypanosomiasis everywhere except in Mauritania. Villages vanished everywhere and census figures were sharply declining. The fatality rate was 25 % higher than the birth rate. One cannot avoid feeling strongly impressed when taking stock of the achievement : in less than a three year period of time Jamot and his teams diagnosed sixty eight thousand patients. The situation there, was similar or even worse than the one he had found ten years earlier in French Equatorial Africa. His advice was the same as in Equatorial Africa : an independently functioning institution dedicated to the fight against the disease had to be set up. But his detractors were the ones who held power and they denied the efficiency of his doctrine and challenged its merits. The statement which his medical superiors issued was that "Any epidemic comes to an end some day or the other and even if Jamot had not been there the successful results he claims for, would have been achieved anyway in Cameroon or in the French Equatorial Africa". The administrative hierarchy added : "any department which is granted an autonomous running, becomes an independent state of its own". Jamot was shattered by the news, and he had also been deeply affected by the blame he had been informed of upon his arrival in Dakar. He was also worn out. He knew that he was right and in 1935 as he was a man with a sense of honor, he resigned and retired in France in the Creuse region where he passed away two years later. By issuing a decree, the inspector physician Couvy*, head of public health in French Western Africa, brings the fight against trypanosomiasis back to what it was in 1906. The main motto of his reform is "versatility". Screening and treatment teams are turned into general consultation teams, and treatment centres have become permanent centres for consultation. In other words, itinerant teams return to the structure of Native Medical Services (AMI) which deals with all the health problems of the populations. It's a fairly good idea, and anticipates the recommendations which WHO formulated at the Alma Ata conference in 1978, but it deprives trypanosomiasis of its priority statute. The specific training of the personnel is not guaranteed anymore, the therapeutic protocols are ignored, the additional tests are neglected. For instance lumbar punctures are not systematic anymore. In fact, from 1935 to 1938, trypanosomiasis starts to flare up again. Patients in their second stage of the disease are more numerous. It upsets some people. In particular Lefrou* who gets a blame. Shortage of everything settles, shortage of vehicles, shortage of material, shortage of medicine, and also shortage of enthusiasm. Oddly enough, the administrative hierarchy has become aware of the danger, while the higher spheres of the medical hierarchy (inspectors and directors of the health in the territories) remain locked to the notion of versatility that empowers them with authority over everything. 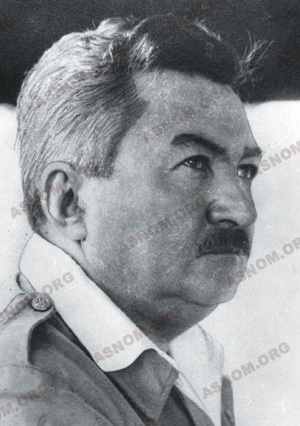 Finally, it's the general governor of French Western Africa, De Coppet who, on January 20, 1939, with the help of Couvy's successor, manages to obtain from the new minister of the colonies the creation of the general service of the sleeping sickness (SGAMS), the direction of which is given to Muraz*. Right away Muraz* made all arrangements to avoid some of Jamot's shortcomings as the latter had never shown any interest for administrative work nor any consideration for hierarchy. Jamot cared for his subordinates the same way as he did for friends. He gave his instructions only by word of mouth during informal conversations or through private mail. Upon taking over from his predecessor, a medical officer who was assigned to the head of an itinerant team could not find any record relevant to the proper use of medications which had as many toxic side effects as therapeutic properties. With Muraz it was the other way around as he issued "technical instructions" where both screening and treatment procedures were codified, unified and updated. Everything has been anticipated in these documents, they have been recorded and they are the permanent reference for the head of the sector. Muraz who took advantage of the achievements, relied on regulations, decrees and orders which had been issued by the government. He made sure he was fully trusted by decision-makers in Paris and Dakar. Instead of Dakar he set up his headquarters in Bobo Dioulasso in the Upper Volta right in the centre of French Western Africa. Thirty two districts were set up in French Western Africa, which were run by Colonial Army Medical Officers. On the one hand they had at their disposal one or several itinerant teams, with an auxiliary native physician at the head of each one who had trained at the African Medical Academy in Dakar and on the other hand they had team technicians for agronomic prophylaxis that were in charge of wiping out glossinas habitat while taking advantage of recent advances which had been made in the knowledge of the life cycle of these flies. From 1940 to 1945, 4 025 bush clearing sites were set up by SGAM which achieved the clearing of three hundred and forty square miles. Itinerant teams had still kept some versatility as they were also in charge of vaccination campaigns. Several steps were taken which boosted the success of this Service. For instance patients who steadily reported for their treatment, were exempt from paying the capitation tax. Districts and villages chieftains were granted an allowance when all their people could be gathered. And then success was back. Between 1939 and 1945 despite of the war and later in 1942 when ties had been severed with the mainland, four times as many people were screened as before and the rate of new contaminations declined sharply as it was twenty times lower. Among the forty million people who were screened four hundred thousand were diagnosed with the disease and most of them fully recovered after having been treated. In 1944 with the Brazzaville conference, versatility was brought back to the forefront and updated. Trypanosomiasis which had been curbed was no longer considered as a commonplace medical condition which could be left to the care of Native Medical Services (AMI). On the contrary broadening the scope of activities of the "Autonomous General Service for Sleeping Sickness Control" which had kept its independent course was contemplated in order to include the fight against some other major endemic diseases. They were selected among those which were the most dreadful but also which could efficiently be treated. While vaccination programs were still carried on, new tasks were progressively assigned to these itinerant teams with the fight against Leprosy, Malaria, Trepanomatoses, Cerebro-Spinal Meningitis, Onchocerciasis dubbed also River Blindness and other disabling ocular diseases such as Trachoma. An assessment of the results is found in the chapter relevant to each of these conditions. Because of all these changes the SGAM was renamed and became the "Itinerant Hygiene and Prophylaxis General Service" (SGHMP) which Le Rouzic* kept running till 1948. Headquarters were kept in Bobo Dioulasso at the "Muraz Center" where the different departments and laboratories of this institution were located. As a follower of Jamot* and Muraz*, Le Rouzic* kept on favouring the fight against trypanosomiasis which within the ten next years wound down as a minor endemic disease. Thus in 1953, in the previously most severely infested region of French Western Africa, 6 092 patients only were diagnosed among the 5 407 376 people who were screened, and most of them had been contaminated in Gold Coast which is now Ghana. In French Western Africa together with Togo there were seventy five special districts and forty four subsidiary ones which were run by medical officers of the Colonial Medical Corps. 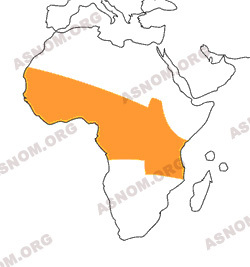 French Equatorial Africa and Cameroon were divided into some thirty districts. In the nineteen sixties which was the time when their activity peaked, itinerant medical services in Africa which altogether employed several thousand people, had the use of more than eleven hundred vehicles and the figure of their 1956 expenses would be valued at ninety four million euros (figures in 2000). After the independence of these countries the legacy of the "Itinerant Hygiene and Prophylaxis General Service" was bequested to African international institutions known as OCCGE and OCEAC. But it should be kept in mind that beside political and economic issues the independence process involved also psychological and sociological ones. Along with the new citizenship status came a feeling of emancipation from the administrative tutelage. With this newly gained freedom, the obligation to report to gatherings could not be enforced any longer as it was now viewed as a constraint which had been brought by colonizers. Requiring the people to report and to stand in line during several hours before they could be screened, without any privacy for the identification of patients, turned out to be difficult. Jamot's doctrine had to be implemented with some coercion in order to warrant its full efficacy with everyone reporting to the itinerant team. But still today, just as yesterday, a patient who is left undiagnosed on the occasion of the population screening can be responsible for the contamination of ten or twenty people over the next few months. Beside all these considerations, these countries with limited means cannot afford to continue the implementation of this doctrine. International help and scanty humanitarian grants are not up to the needs. Some governments do not pay their share to international common organizations any longer. Rounds of itinerant teams are less and less frequent today. And the unavoidable consequence is that trypanosomiasis is classified as a re-emerging endemic disease now but this time without any qualified auxiliary health worker left and there is still no new medication which can be used for mass treatments. In 1998 WHO assessed that there were fifty five million people who were at risk of catching the disease with only four million of them who could take advantage of an appropriate screening. Moreover, wars and political unrest wreck all health programs. This method as it had been originally designed has to come to an end. English speaking specialists refer to it as the "French system" which achieved the right thing at the right time. The entire scientific community admired the successful achievement. French Africa was spared a demographic disaster. But now it has to be adapted : the concept of itinerant teams with each member assigned to a task for which he has been specifically trained is still in use. The first injection which has to be given immediately to achieve sterilization of the virus reservoir remains an essential measure of prevention. Absenteeism is today the most important difficulty which has to be overcome and awareness programmes should take over obligation. It is only when the people are fully aware of the risks which are incurred that one can expect to change their standpoint. Absenteeism will decline with good education and information and efforts which should be specially directed toward women and girls, but anyway, this will require a lot of time. Fortunately by the end of the twentieth century a few new possibilities are coming out and a more efficacious fight against glossinas can now be envisioned with the availability of organochloride insecticides, of insecticide impregnated traps and with the release of irradiated sterile males. Screening can now be done with fewer health-workers than before, as after taking a blood sample at a finger's tip a serologic test can be done immediately. The results are immediately interpretable and this makes a quick sorting out of the people possible. Individuals who test positive have to undergo a thorough medical check and are searched for trypanosomes. Those who are finally diagnosed with the disease are cared for either by itinerant treatment teams or in treatment centres. Anyhow and forever the keyword of this fight against trypanosomiasis will be "itinerant team" and Jamot will also remain forever in everyone's recollection as the one who had this bright idea. Research and development departments of the pharmaceutical industry should become interested in the development of new trypanosome killing medications which would be easier to use than the present ones. No new medication has been developed over the last fifty years which could now take over Melarsoprol in mass campaigns. 1906-1908. 1 vol. Masson et Cie Edit. Paris 1909. - Laveran et Mesnil. : Trypanosomes et trypanosomiases. 1 vol. Masson et Cie Edit. Paris 1912. - Jamot E. : La lutte contre la maladie du sommeil en AEF et au Cameroun L'Illustration 4330, 27 février 1926,200-202. - Jamot E. : La prophylaxie de la maladie du sommeil In "les grandes endémies tropicales" Tomes I et II ; Vigot Frères Edit. Paris 1930. - Jamot E. et Coll. : Rapport sur la maladie du sommeil. Journées médicales coloniales : 23 07 - 05 08 1931. Rev.Med.Hyg.trop. 1931,23,190-192. - Jamot E. : La lutte contre la maladie du sommeil au Cameroun. Ann. Institut Pasteur. 1932,48,481-539. - Jamot E. : La maladie du sommeil en AOF. Bull.Acad.sci.Outre-mer.1935,265-273. - Dutertre J. : Médecine d'Afrique noire. 1968, n°4, 147-177. Numéro consacré à la trypanosomiase humaine africaine. - Ann. Soc. Belge Med.trop. 1977,57,4-5,191-479. Nombreux articles. - Médecine tropicale, 2001,61,4-5. Numéro entier : Maladie du sommeil : le renouveau. - Lapeyssonnie L. : "Moi, Jamot" Le vainqueur de la maladie du sommeil 1 vol. 210 p. Les presses de l'INAM. Edit. Plaisir 1987. - Lapeyssonnie L. : La médecine coloniale. Mythes et réalités. 1 vol. 310 p. Seghers Edit. 1988. - Bull. Soc. Path. Exo. 2002,95,5,331-344 Numéro entier : Hommage au Médecin général Lapeyssonnie.